Tennessee marriage records issued between 1780 and 1960 are available, for a fee and with proper identification, from the Tennessee State Library and Archives (http://www.tn.gov/tsla/history/mailcnty.htm#Marriages). For records issued from 1961 to the present, contact the Tennessee Department of Health, Office of Vital Records (http://health.state.tn.us/vr/index.htm). Tennessee divorce records are kept by the Tennessee Vital Records Office for 50 years. Older records are maintained by the Tennessee State Library and Archives (http://www.tn.gov/tsla/history/mailcnty.htm#Divorce_Records). 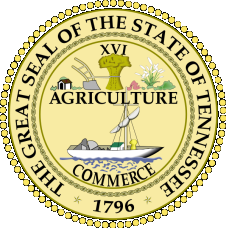 Requests for certified copies of all records for birth, death, marriage, and divorce are accepted at the Tennessee Office of Vital Records in Nashville. The request must be made by a person named on the certificate, or a parent, guardian, child, or spouse of the named person. For more information about obtaining Tennessee vital records, see http://health.state.tn.us/vr/Certificate.htm, http://health.state.tn.us/vr/downloads.htm, and http://health.state.tn.us/vr/index.htm. Fees are payable by check or money order made payable to Tennessee Vital Records, or credit card. Record Access Requirements: Information on race or previous marriages is only released for statistical purposes. Record Access Requirements: Information on previous marriages and education is released for statistical use only. Note: Per statute, fingerprint-based background checks are to be conducted for paid or volunteer employment or licensing such as such as child care, teachers, security and armed guards, security system contractors, etc. Record Access Requirements: The agency maintains a website at www.ticic.state.tn.us for searching of sexual offenders, missing children, and people placed on parole who reside in TN. Search Note: The search system is called TORIS (Tennessee Open Records Information Service). A request form can be downloaded from the webpage. The agency suggests that ongoing requester be registered with an account. Record Access Requirements: Location, conviction and sentencing information are provided.